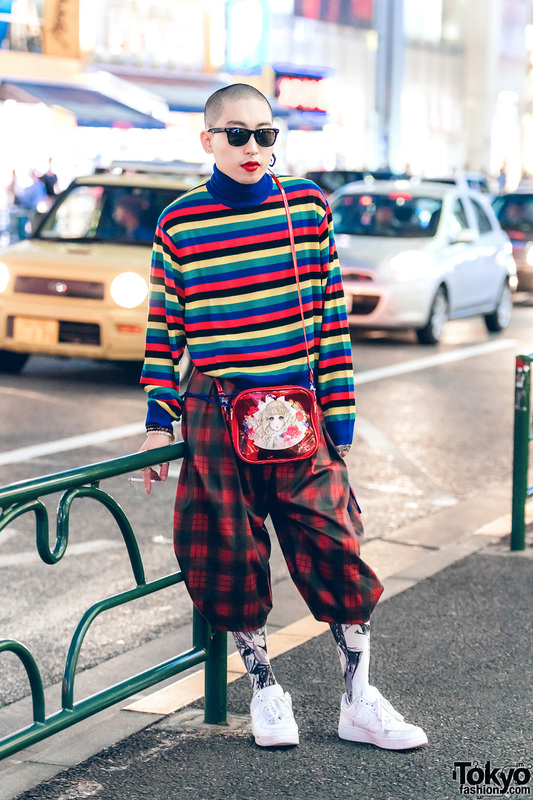 Harajuku fashion college student in bold mixed prints fashion with striped turtleneck sweater, plaid culottes, digital print socks, white sneakers and a red see through sling bag. Harajuku girl in sweatshirt, shorts, high school bag & sneakers vs. Harajuku girl in layered tops, culottes, tote bag and sneakers. 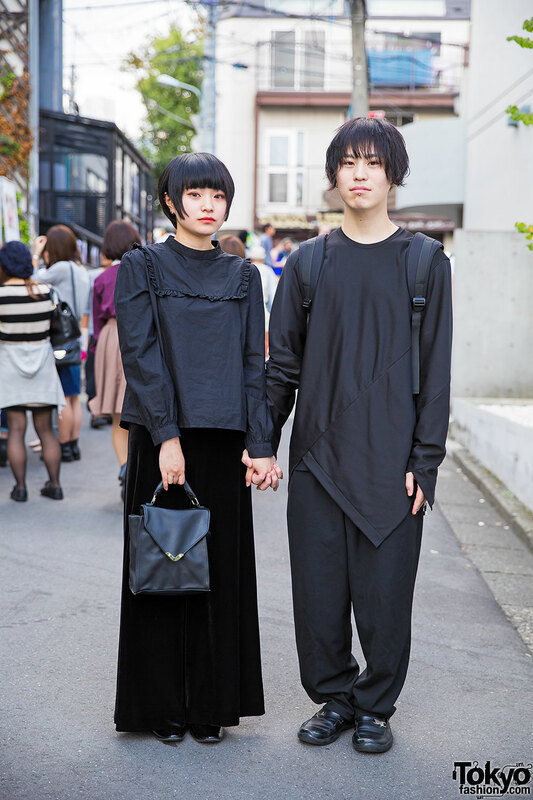 Harajuku girl in black long-sleeve top, culottes, bag and patent shoes vs. Harajuku guy in asymmetrical top, pants, rucksack and loafers. Harajuku girl with red kanji print hoodie, panda pouch, rucksack, culottes, mary janes and kanji socks. 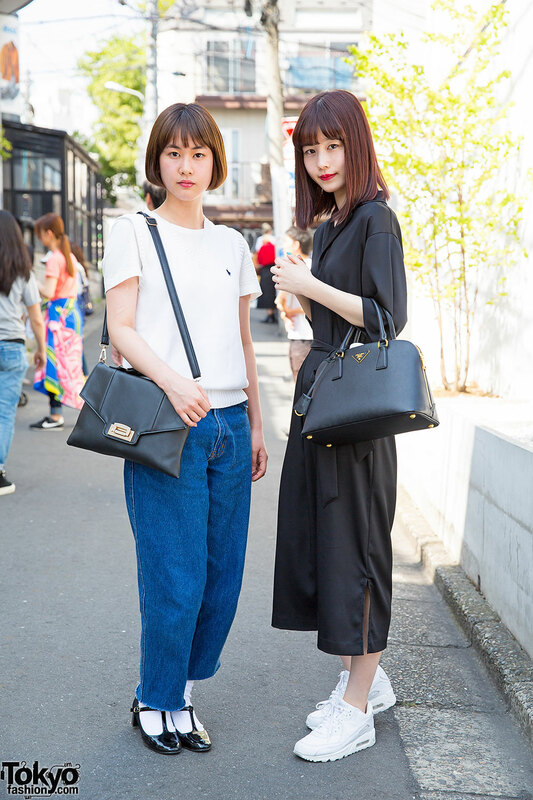 Harajuku girl in black jumpsuit and white sneakers vs. Harajuku girl in white top, jeans and t-strap patent shoes. Harajuku girl with bob hairstyle & sunglasses wearing a lace crop top with culottes, box bag and block heels. 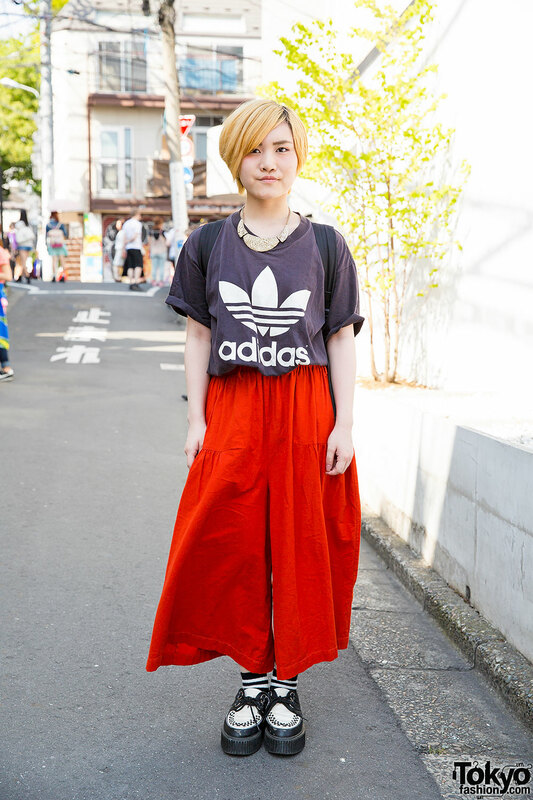 Harajuku girl with blond hair wearing a black t-shirt with red culottes, statement necklace and creepers.